He’s gonna wait till drying period for official but he’s roughly 138-139. Metal tape usually lower than actual cable they use for official. I’m hoping he breaks 140. Either way.... it’s an amazing coues and my hunter and I feel blessed for finally finding him and harvesting. Took us along time to collect ourselves and get off the mtn. Thanks Coach. I appreciate the kind words. 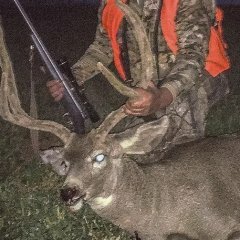 Been keeping track of this buck for couple years. He finally made a mistake and my hunter and I are blessed to even harvest this great coues. No official score yet but I do know he’s 124-125 without extras. So I’ll tease a lil and let u guys guess. I’ll check in again with another hint as the responses pour in. 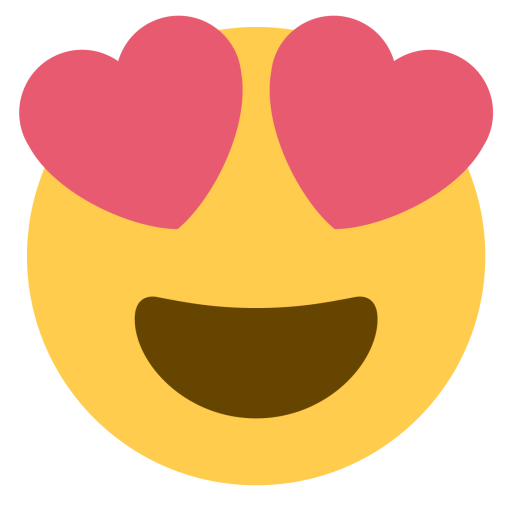 That’s the beauty of it. Gotta respect Gods creation when it comes to Coues horns. Always unique and tricky to measure. Oh yeah. Thanks guys. PM me. Got some good areas to start. 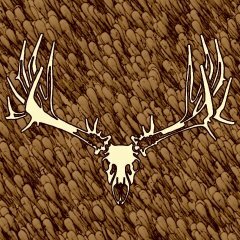 Awesome Buck in your profile picture! Here some before photos... while scouting. Was an adventure keeping tabs on this guy. Gary from Wyoming took this nice ram on Sunday December 3rd 2017 at 417pm. 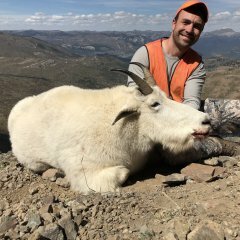 His patience paid off for he waited 8 hours for the ram to make the mistake and complete a shot at 282 yards with his 300 weatherby. Good mass and ram was definetly a fighter with broomed up horns and busted mouth. Congrats to Gary for completing his slam... bless all you hunters upcoming 2018 and stay safe. 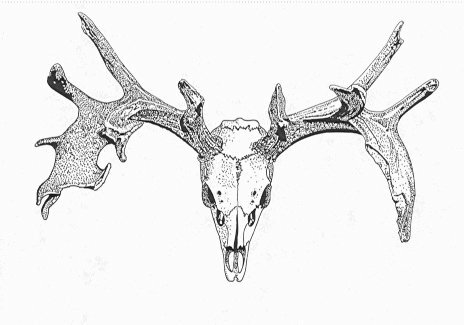 I'm selling 4 mule deer racks scoring between 155-175. Then I have 1 mule deer 4x4 at 182. 2 coues about 100in a piece. 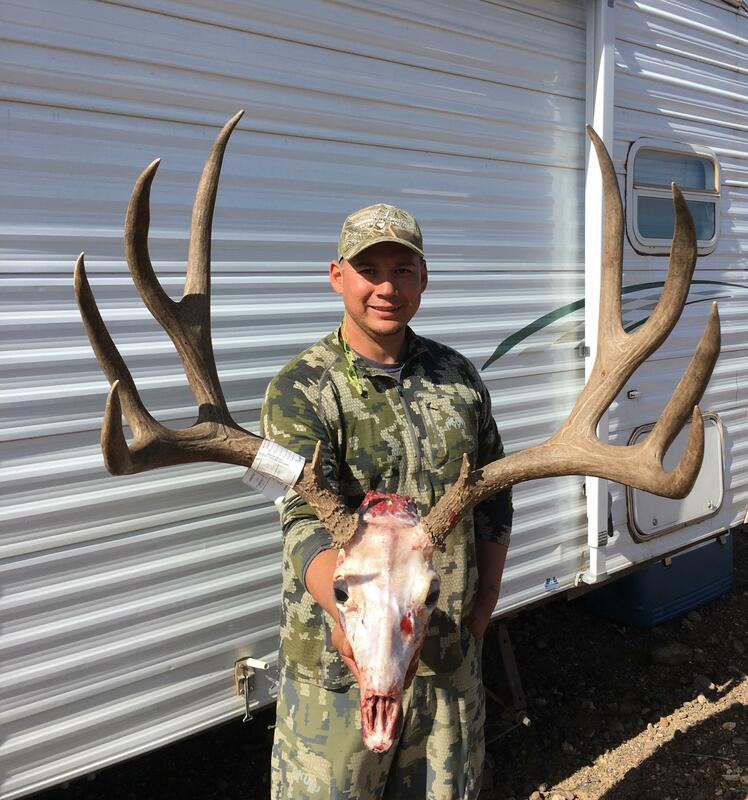 Then one full skull bull elk scoring 383. These were all taken in most of my years hunting and tag is still attached. I also have misc sheds. 109 set of coues and set of heavy 160 Muley sheds Asking price for all. $900. Pm me if any questions.